When I discovered Austrian economics, in 1999, I gradually undertook a process of intellectual rebirth. I read many of the masterful books written by Hayek, Mises, and Rothbard. The more I read, the more I came to understand that the economics, history, and social studies classes I attended, from grade school through grad school, were laden with pro-statist junk. Years of indoctrination in public schools, which I attended, tend to shape a person into a non-thinking, state-worshiping, sponge who absorbs "news" and information from the mainstream media and mistakes it for knowledge. This being stated, could it be that science itself has been tainted by statism? Say it isn’t so as I immensely enjoyed taking science courses while attending school. Alas, the poisonous reach of the state leaves nothing unscathed. Let’s face it; for the most part, teachers aren’t very bright. The vast majority are state propagandists who cannot imagine a world without an omnipotent state. In their little minds, all we have is due to the beneficence of the state. It is no wonder teachers preach the religion of statism, which permeates each and every subject they teach, including science. From the classroom to the mainstream media, conventional wisdom dictates that the science is settled when it comes to DDT, AIDS, and anthropogenic global warming. We "know" DDT is a dangerous, carcinogenic pesticide; that AIDS is caused by a deadly virus named HIV; and that mankind’s carbon dioxide emissions are causing global warming. Why would anyone want to revisit these topics considering the exhaustive and damning media coverage given to these subjects? To me, the answer is simple. For all of those years I spent in public school classrooms, I received what I now call "junk education" (from personal experience, I firmly believe such junk education is endemic to private schools as well). It was time for me to ask tough questions, to read dissenting views, and to expunge the pollution spewed into my brain by teachers, media talking heads, and others. 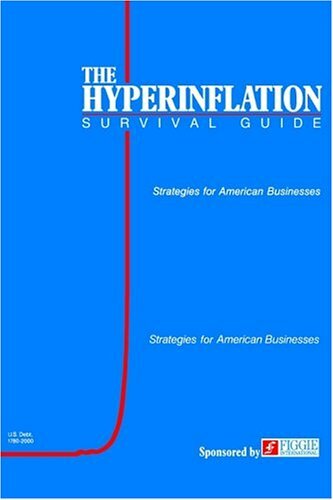 Due to discovering Austrian economics, there was a specific catalyst which thrust me from gradualism into re-education overdrive. In August of 2001, I attended Mises University. For me, it was a life-changing experience. Every class I attended was interesting due to the top-flight quality of the instructors teaching each course. The lecturers, at Mises University, sang the praises of capitalism and hit all of the right notes based upon the unshakable foundation of Austrian economics. I came away, from Mises University, with the understanding that general prosperity emerges through capitalism, not the state. To be sure, plenty of books were available for sale and I partook as an eager consumer; I wanted, after all, to supplement my wonderful experience with something tangible to take home. 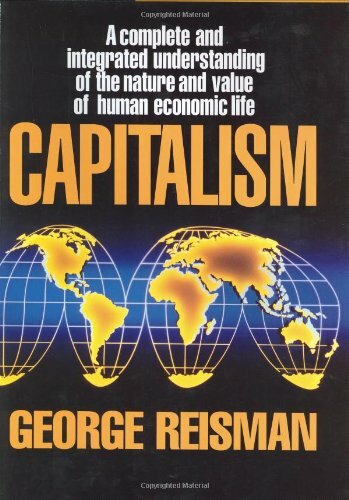 Accordingly, on August 10, 2001, I purchased Dr. George Reisman’s magnificent book Capitalism (he autographed it for me); and I thumbed through it later that day. 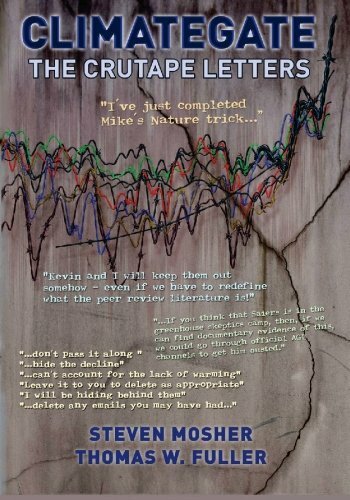 When I arrived at chapter three, titled "Natural Resources and the Environment," I was thunderstruck by Part B, of chapter three, subtitled "The Ecological Assault on Economic Progress." This is when I had the epiphany that my public school education had polluted my mind with enough rubbish to seriously impede my intellectual growth. It hit me that my grade school education — of the late 1960s and early 1970s — was peppered with environmentalism, statism, and a distaste for economic progress. Woodsy Owl implored me to "give a hoot, don’t pollute," while Smokey Bear informed me that "only you can prevent forest fires." I recall, on numerous occasions, having folks dressed as either Woodsy or Smokey drop by our elementary school and essentially lecture us about our duty to protect Mother Earth; which, by implication, seemed to be the property of the state. It is clear to me, in retrospect, the only "religions" allowed in my public school were that of environmentalism and statism — we performed the pledge of allegiance at the beginning of each and every school day. Yes, we were allowed to celebrate Christmas by putting on an annual Christmas show for our parents, but the posters of Smokey and Woodsy were posted year round. And, of course, each classroom housed an American flag to constantly remind us of the all-pervading state. Environmentalism is the product of a growing loss of confidence in reason long predating the collapse of socialism. It is the leading manifestation of a rising tide of irrationalism that is engulfing our culture. As previously mentioned, over the last two centuries the reliability of reason as a means of knowledge has been under a constant attack led by philosophers from Immanuel Kant to Bertrand Russell. The growth of irrationalism has been manifested in a series of developments each of which has contributed to the rise of environmentalism. Among them have been the loss of the concept of economic progress, the growth of irrational skepticism, a growing decline and outright perversion of education, and the cultural devaluation of man. The state, in effect, offers pots of money in the form of "grants" for the study of matters selected by politicians and their appointees, and then scientists must choose areas of investigation that are most likely to secure them some of that money. The "scientists" gather around the pots of money, like bees around pots of honey, eagerly seeking as best they can to slurp up some of the money by means of writing whatever kind of grant proposals they think will promote the agenda of whichever officials have the power to determine the award of the grants. To be sure, sound scientific practices continue in spite of state intervention. By controlling the purse strings, nonetheless, political agendas do infect science education and science itself. Whether you attended public or private schools, or paid attention to the mainstream media, it is extremely likely you were authoritatively informed that DDT is a supremely dangerous and carcinogenic pesticide, that AIDS is caused by HIV, and that our earth is warming dangerously with the cause being mankind’s carbon dioxide emissions. In other words, you were indoctrinated with junk science. What follows is additional narrative containing descriptions of books, essays, lectures, and articles that have been invaluable with respect to deprogramming the aforementioned scientific dogmas, regarding DDT and AIDS, which had infected my brain (I was able to catch onto the global warming scam before it could take root in my noggin). Perhaps you will find it as liberating as I have when it comes to expunging state-sponsored junk science from your mind. The earliest indoctrination of junk science, which I recall from grade school, related to the banning of DDT in 1972. My teacher informed me and my classmates that if we didn’t stop using this evil pesticide, the entire food-chain was going to be poisoned, many species of wildlife were going to become extinct, and human beings were going to get sick and some were going to die of cancer. Hence, when DDT was banned by the EPA, in 1972, we school children could breathe easier as this horrible chemical was not going to harm any of us. The science, about DDT, was settled and our public school teacher imparted this wisdom upon us accordingly. No reason to give this matter any further thought; end of story. The state has spoken. More than 30 years later, DDT leapt back into my consciousness. By chance, I had heard that every 30 seconds a child dies from malaria. Out of curiosity, I did further research and was shocked to find out each year 350—500 million cases of malaria occur worldwide, and over one million people die; most of them young children in sub-Saharan Africa. It struck me as to how tragic it was that DDT is such a harmful chemical as so many people could have been saved by this pesticide; if it was safe. My Rothbardian radicalism took over and I decided to see if there was another side to the DDT story. I already knew Rachel Carson’s book Silent Spring rallied the environmental movement to bring about the banning of DDT. Well, I hit the jackpot when I found Dr. J. Gordon Edwards’ utter demolition of Silent Spring in his article titled The Lies of Rachel Carson. Dr. Edwards was a professor of entomology, at San Jose State University in California, and taught biology and entomology there for over 40 years. Carson’s propaganda, in Silent Spring, contributed greatly to the U.S. Government’s banning of insecticides which were capable of preventing human deaths. She shares the responsibility for millions of deaths among the poor people in underdeveloped nations. EPA Judge Edmund Sweeney arrived at the conclusion that DDT should not be banned. In his final official decision, issued on 26 April 1972, he stated: “DDT is not a carcinogenic, mutagenic, or teratogenic hazard to man. The uses of DDT under the regulations involved here do not have a deleterious effect on freshwater fish, estuarine organisms, wild birds, or other wildlife… The evidence in this proceeding supports the conclusion that there is a present need for the essential uses of DDT." In spite of Judge Sweeney’s findings, EPA Administrator William Ruckelshaus unilaterally banned DDT. It did not matter Judge Sweeney’s decision was based upon sound science; backed by a 9,400 page transcript compiled during the hearings. As Dr. Edwards stated: "Ignoring the seven months of testimony and evidence, and the Hearing judge’s deliberations and conclusions, Ruckelshaus personally reversed the Court’s decision and gave the victory to his friends in the Environmental Defense Fund! His decision to ban DDT appeared to be political, rather than reflecting scientific evaluations." This really should come as no surprise as Mr. Ruckelshaus is an environmentalist and a member of the Environmental Defense Fund. So why was DDT targeted by environmentalists? The answer is ugly, yet simple. Environmentalism is an anti-human movement in which mankind is viewed as a cancer killing Mother Earth. DDT was responsible for saving countless lives and, therefore, added to what environmentalists perceive as a population problem; meaning the lower the human population, the better. Dr. Edwards refers to this horrifying, anti-human environmental agenda in this video-taped lecture. Michael Crichton was another scientist who found the banning of DDT to be reprehensible. 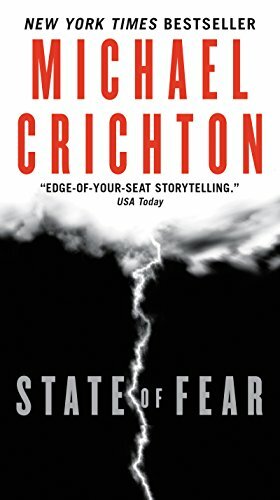 Most people think of Michael Crichton as an author, screenwriter, and film director. Many do not know Dr. Crichton was a medical doctor who graduated from Harvard Medical School in 1969. Consequently, he understood science intimately. With so many past failures, you might think that environmental predictions would become more cautious. But not if it’s a religion. Remember, the nut on the sidewalk carrying the placard that predicts the end of the world doesn’t quit when the world doesn’t end on the day he expects. He just changes his placard, sets a new doomsday date, and goes back to walking the streets. One of the defining features of religion is that your beliefs are not troubled by facts, because they have nothing to do with facts. So I can tell you some facts. I know you haven’t read any of what I am about to tell you in the newspaper, because newspapers literally don’t report them. I can tell you that DDT is not a carcinogen and did not cause birds to die and should never have been banned. I can tell you that the people who banned it knew that it wasn’t carcinogenic and banned it anyway. I can tell you that the DDT ban has caused the deaths of tens of millions of poor people, mostly children, whose deaths are directly attributable to a callous, technologically advanced western society that promoted the new cause of environmentalism by pushing a fantasy about a pesticide, and thus irrevocably harmed the third world. Banning DDT is one of the most disgraceful episodes in the twentieth century history of America. We knew better, and we did it anyway, and we let people around the world die and didn’t give a damn. Rachel Carson, was a scientist with an agenda. Other scientists jumped on her environmentalist bandwagon and fraudulently concluded DDT was some sort of doomsday chemical which must be banned. What a lethal combination it is when environmentalism receives state backing. What emerged was a recipe for junk science that resulted in the deaths of millions. How utterly despicable. Public and private schools claim to have an objective of graduating students with critical-thinking skills. In my opinion, this claim is laughable as I seriously doubt more than a miniscule fraction of teachers properly view the state as a criminal organization. Heck, I seriously doubt most teachers have critical-thinking skills. For the most part, we are taught our government is good, although not perfect, and that it looks out for the best interests of its citizens. And when you live in the most powerful country in the history of the universe, any imperfections one may perceive in our government must be forgiven; after all, be you a Marxist or a state-capitalist, you can always vote for change — how wonderful. With such tripe being pounded into each student’s head for a dozen or more years, it is not surprising nearly every person I meet is a statist. As a result, the vast majority of people uncritically accept whatever information is fed to them by the state; and the state has fed us a whopper when it comes to AIDS. In April of 1984 federal AIDS researcher, Dr. Robert Gallo, and the Secretary of the U.S. Department of Health and Human Services held an international press conference in which Dr. Gallo declared he had discovered the virus that causes AIDS. I was a senior in college when this discovery was announced; and word, about this lethal virus, spread around campus like wildfire. I do not recall hearing any skepticism about AIDS being caused by a virus. Our government and its paid researchers, as we are instructed, have our best interests at heart. Thus, without further ado, the science was settled regarding the cause of AIDS. Although there was no evidence proving HIV causes AIDS, in 1988 Congress mandated that the U.S. Surgeon General, C. Everett Koop, send every household in America a brochure about AIDS. Americans, after all, were terrified by the prediction, from scientists and state health officials, that AIDS would become an epidemic and "…would turn into the greatest public health catastrophe of the twentieth century." Some scientists knew Robert Gallo jumped the gun by announcing he discovered the cause of AIDS; while having absolutely no evidence. Ah, but the indispensable state loves to frighten the somnambulant masses; from time to time. 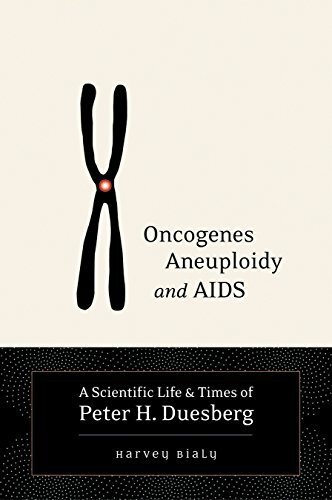 Fast forward, to the summer of 2004, and I had the good fortune of discovering Harvey Bialy’s outstanding book Oncogenes, Aneuploidy, and AIDS: A Scientific Life and Times of Peter H. Duesberg. 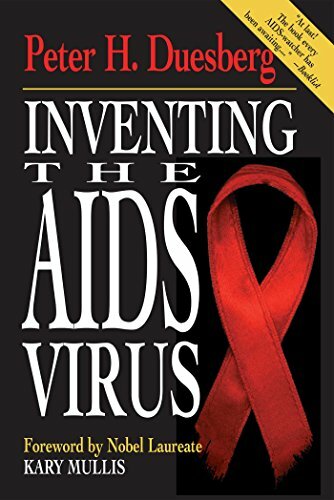 Consequently, this lead me to read Peter Duesberg’s controversial and masterful book Inventing the AIDS Virus. Dr. Duesberg is a professor of molecular and cell biology at the University of California at Berkeley. He is a man with courage along the lines of Ludwig von Mises. Dr. Duesberg knows the HIV-causes-AIDS hypothesis is incorrect. Like Mises, Duesberg’s steadfast honesty and search for the truth have lead to his marginalization in academia. Duesberg aptly has been dubbed "A Modern-Day Copernicus." I like and respect Peter Duesberg. I don’t think he knows necessarily what causes AIDS; we have disagreements about that. But we’re both certain about what doesn’t cause AIDS. We have also not been able to discover why doctors prescribe a toxic drug called AZT (Zidovudine) to people who have no other complaint than the presence of antibodies to HIV in their blood. In fact, we cannot understand why humans would take that drug for any reason. We cannot understand how all this madness came about, and having both lived in Berkeley, we’ve seen some strange things indeed. We know that to err is human, but the HIV/AIDS hypothesis is one hell of a mistake. So where is the epidemic that would become the twentieth century’s greatest public health catastrophe? In Dr. Duesberg’s book, he mentions how the World Health Organization forecasted 100 million people would be infected, by HIV, by early 1990. When it was announced HIV could be found in saliva, talk of "casual transmission" became mainstream and terrifying. Worse yet, who can forget the idea of how a deadly blood-borne virus may end up being spread by mosquitoes? Yet, once again, where is the epidemic predicted by state health officials? Oh, the terror! In short, a virus that has been in its host for years before a disease occurs, that is typically inactive and rare during a disease, and that is not present in every case of that disease is not a credible suspect for viral disease. It is an innocent bystander or a passenger virus. HIV meets all of these criteria. Since HIV also fails Koch’s postulates, there is no rational basis for the HIV-AIDS hypothesis. In the courts of science HIV must be acquitted of all charges for AIDS — it is an innocent virus. Worse yet, the drugs used to treat AIDS are themselves lethal. Chemotherapy compounds such as AZT and ddl are prescribed in combination with protease inhibitors to battle the HIV infection. Imagine fighting a pneumonia with extraordinarily toxic drugs that can cause liver failure, fatal damage to the pancreas, and nerve damage throughout the body? This is what comes to pass when a person has a harmless passenger virus (HIV) and happens to catch a pneumonia. Your doctor’s prescription, in other words, may kill you when all you need perhaps is ten days worth of simple antibiotics. As a scientist who has studied AIDS for 16 years, I have determined that AIDS has little to do with science and is not even primarily a medical issue. AIDS is a sociological phenomenon held together by fear, creating a kind of medical McCarthyism that has transgressed and collapsed all the rules of science, and has imposed a brew of belief and pseudoscience on a vulnerable public. Christine Maggiore, over time, found herself in the crosshairs of the government-backed AIDS cabal. In 1992, Christine was diagnosed as HIV positive and was given a death sentence by the medical establishment — she had five years to live. She was encouraged to be retested, and she did so more than a dozen times, and received results of HIV negative, HIV indeterminate, and HIV positive. Such bizarre results lead her to ask questions which, unfortunately, produced a backlash from the very AIDS organizations she was helping to build. At this point, she was on her own and needed to think critically and objectively. Through her independent research, Christine Maggiore concluded an HIV positive diagnosis is not a death sentence. 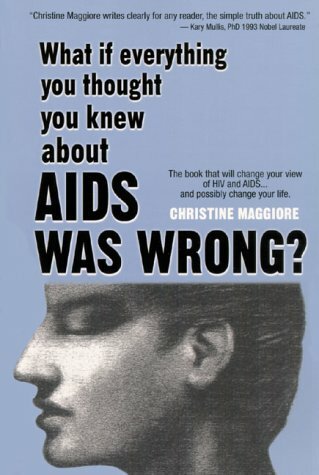 By 1996, she had written her seminal book What if Everything You Thought You Knew about AIDS was Wrong? Not only was her research and writing first-rate, it was gutsy as well. How dare anyone, who is HIV positive, write a book which questions scientific consensus and provides false hope to other HIV positives? Going against the mainstream viewpoint, to be sure, made her a villain. In spite of Christine’s strength, she was also under tremendous pressure and scrutiny. She often felt that she wasn’t allowed to get sick like other people. After her daughter died in 2005 of an allergic reaction to an antibiotic for an ear infection, the LA County Coroner — ignoring evidence to the contrary — declared it a death from AIDS and Christine’s suffering increased horribly. She was vilified in the world media and harassed by outspoken opponents of her work who openly gloated that this was her just comeuppance. She and her family endured a yearlong criminal investigation that not only terrorized them, but also robbed them of an opportunity to mourn the loss of their daughter. That loss was twisted into sensationalized and mean-spirited television episodes that portrayed Christine as a quack and a murderer and ultimately as dead. Christine never fully recovered from the unjust treatment that she received around the loss of Eliza Jane and that treatment ultimately exhausted her. Christine Maggiore’s legacy is one of hope, love, intellect, caring, and respect for those who still believe in the scientific method. Her detractors, who support state-backed terror and robbery, are intellectually and spiritually dead. In my mind, the HIV=AIDS=Death hypothesis has everything to do with increasing the "health" of the state. Politicians are opportunistic parasites who look for ways to aggrandize the state by painting doomsday scenarios, often "supported" by junk science, and then promising the populace to rescue them from calamity. With both public and private schools preaching the religion of statism, we are mislead to believe — at a very young age — that life would be nasty, brutish, and chaotic without the good and stabilizing forces brought to bear by the state. came from the White House and its outgoing occupant William Clinton, who declared that AIDS in Africa was suddenly of national security concern to the United States. An article from the Washington Post explains the reasoning for this as follows: "Authors of one intelligence report said the consequences of AIDS appear to have u2018a particularly strong correlation with the likelihood of state failure in partial democracies’ and held out the prospect of u2018revolutionary wars, ethnic wars, genocides and disruptive regime transitions.’" Thus, HIV, not only causes poverty and malnutrition in Africa, but it also is a cause of political instability and potential wars. There you have it, the state has given a harmless passenger virus, HIV, the bum rap of not only killing human beings, but being a potential state-killer as well. Be very, very afraid. What is the next bogeyman for the politicians to pull out of their hats? How about declaring a trace gas, essential to life itself, as a threat to Mother Earth’s very existence? Nah, the political elites have more respect for the intellect of their state-loving citizens than that. Or do they? Anthropogenic global warming (AGW) is a scam being perpetrated by politicians, corrupt scientists, unethical businessmen, and environmentalists. This scam’s ultimate objective is to increase state power over our lives, thereby taking us further down the road to socialism. Along the way, political elites and their cronies will line their pockets at our expense. What better way to frighten us into submission than to assert mankind’s carbon dioxide emissions are going to cause a global climate catastrophe which may render a great deal of Earth uninhabitable. Let the state, therefore, provide us with edicts, supervision, and laws in order to guide us into becoming more eco-friendly citizens. This state-sponsored scam is one which I unraveled before it took hold in my mind. Most assuredly, I am not "going green." Okay, I will admit my public school education wasn’t a complete waste. In fifth grade I recall learning about photosynthesis. Integral to the photosynthesis process is a trace gas known as carbon dioxide. Without carbon dioxide, there would be no plant life here on Earth. In turn, no plants means no animals. All those years ago I was taught carbon dioxide was essential to my very existence. As a child, how else could I view this gas other than in a positive light? Today, the global warming alarmists deem carbon dioxide to be a dangerous pollutant. This tipped me off to the scam immediately. How in the world could life emerge based upon pollution (CO2) as a building block? Carbon dioxide, moreover, is found in beer, sparkling wine, soda pop, and sparkling water. Let’s also not forget carbon dioxide is integral to the process of making bread. Consequently, the global warming alarmists are telling me that I am eating and drinking pollution. This is nonsense on steroids and a lie of epoch proportions. You and I would not be alive without carbon dioxide. To label CO2, as a pollutant, is nothing short of deranged. Another topic I recall from grade school science pertained to the atmosphere. We learned the two most abundant gases are nitrogen (78%) and oxygen (21%). With how important carbon dioxide is to the formation of life, I was a bit surprised to learn it only comprised approximately .038% of the atmospheric gases. It truly is a trace gas. Knowing carbon dioxide comprises a minuscule proportion of the atmosphere, it instantly made no sense to me that a runaway greenhouse catastrophe would be precipitated by a trace gas. This, to me, seemed to be a physical impossibility. There are no common physical laws between warming phenomenon in glass houses and the fictitious atmospheric greenhouse effect, which explains the relevant physical phenomena. The terms "greenhouse effect" and "greenhouse gases" are deliberate misnomers. Not only can carbon dioxide not cause a runaway greenhouse catastrophe, but the whole business regarding greenhouse effects and greenhouse gases is pure bunk. Thus my initial thought of a trace gas not being capable of causing a greenhouse catastrophe wasn’t quite correct because the entire notion, regarding greenhouse gases, is incorrect in and of itself. What is even more delicious, about Gerlich and Tscheuschner’s paper, pertains to how the anthropogenic global warming hypothesis violates the first and second laws of thermodynamics. 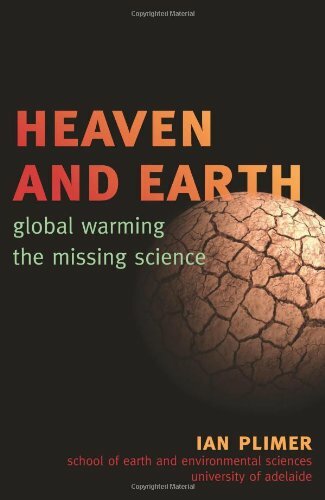 Read pages 75 through 79, of this document, and enjoy the smashing annihilation of AGW. It just goes to show how shameless politicians and environmentalists are when it comes to terrorizing people into submitting to a green-socialist version of social engineering. Not only do they call carbon dioxide a pollutant, they concoct a scam that violates the very laws of physics; and none of this will make the evening news. Another bothersome aspect, of the global warming swindle, pertains to the lack of any role the Sun takes in climate modeling. It seems as if the climate modelers are writing computer programs along the lines of writing a cookbook without ever mentioning an oven. Every second, the Sun delivers to Earth the total amount of energy released by an earthquake of Richter magnitude 8. The amount of energy human’s use annually is delivered from the Sun to the Earth in one hour. The known recoverable resource of oil contains the energy that the Sun delivers to the Earth in 36 hours. The Politically Incorr... Christopher C. Horner Best Price: $2.50 Buy New $5.41 (as of 07:30 EDT - Details) So let’s get this straight, Al Gore and his green minions want us to ignore the Sun. We are to focus, instead, on carbon dioxide as the most important driver of climate. This despite the facts that carbon dioxide is a trace gas; it is not a pollutant; the AGW hypothesis violates the first and second laws of thermodynamics; and it is essential to photosynthesis which makes CO2 absolutely indispensable to life on Earth. Plain and simple, AGW is junk science aimed at frightening the poorly-educated masses; which covers just about everyone. This begs the question as to what do Al Gore and the politically-connected greenies have to gain from vilifying carbon dioxide, via junk science, and leading us to believe in the "solutions" our beloved governments will provide to us? 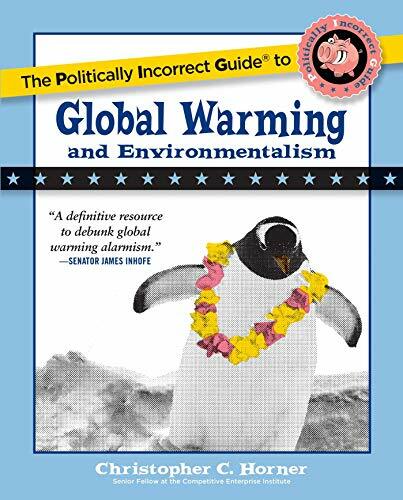 A great way to find the answers is to read The Politically Incorrect Guide to Global Warming and Environmentalism by Christopher C. Horner. Ultimately, it comes down to money, power, and social engineering; with a lot of fear-mongering along the way. Be assured we do not want the Chicago Climate Exchange to take wing. One of the directors of the Chicago Climate Exchange is Maurice Strong. He is a former Under-Secretary General of the United Nations and is a flaming environmentalist. He is infamous for stating the following: “Isn’t the only hope for the planet that the industrialized civilizations collapse? Isn’t it our responsibility to bring that about?” Without a doubt, Mr. Strong is an enthusiastic supporter of cap and trade legislation. Should such legislation pass in the U.S., there will be a markedly negative impact on our already morose economy; in the meantime, well-connected folks such as Mr. Strong will profit handsomely by legally fleecing Americans — which is what the Chicago Climate Exchange is all about. In other words, follow the money, and at the end of the trail you will find con-artists like Al Gore and Maurice Strong. If you don’t believe anthropogenic global warming is a state-backed scam, with a key objective of redistributing wealth from the poor and the middle classes to the wealthy, then think again. Properly examined, the state should be viewed as "…a clumsy, retarded giant, and therefore you have to be careful to limit what tasks you assign it." We have, regrettably, assigned government the tasks of providing education and redistributing wealth for a goodly portion of science funding. Statism, which clearly retards intellectual growth and critical thinking, has become the opiate of the frightened masses. Statism’s delivery devices include television, radio, newspapers, magazines, and especially schools; private and public. We are surrounded by the state, we are terrorized by it, we are dumbed-down by it, we are murdered by it, and yet, we worship it. Schools have performed an especially admirable job of producing fools who mistake their pro-statist brainwashing for an education. Therefore, I can see why people have come to believe that a life-saving compound, DDT, is evil and poisonous; I can see how a harmless passenger virus, HIV, is deemed a deadly threat to humanity; I can see how carbon dioxide, a life-giving trace gas, can be labeled as a menace to the entire planet; and everywhere I look, I see an opiated and intellectually truncated populace behaving like battered wives who heap affection and respect upon the abusive and murderous state. I am reminded of the timeless H. L. Mencken quote: "The whole aim of practical politics is to keep the populace alarmed (and hence clamorous to be led to safety) by menacing it with an endless series of hobgoblins, all of them imaginary." Think of DDT, HIV, and carbon dioxide. Only the state, indeed, can save its somnambulant plebes from these make-believe foes. How many tasks, ultimately, should be assigned to the state? None! The sooner people come to realize this, the sooner they can wake up from the nightmarish opiated stupor that is statism.